LISTENNOW! 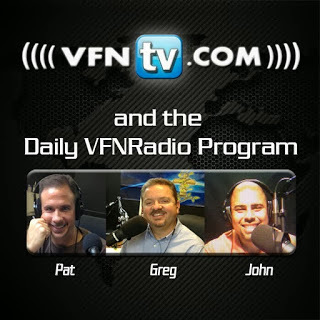 Greg, John, and Pat discuss the 2nd Amendment and the “hero” complex and that heroes die too. They continue to discuss how there is much talk today about the 2ndAmendment many Americans feel empowered by their 2nd Amendment right to bear arms and to purchase a gun. However, they further discuss some simple realities regarding gun ownership. One is that just by purchasing a fire arm that doesn’t make one smarter or physically stronger than they were before they purchased the gun. Meaning if you didn’t have any intelligence or wisdom before you purchased your firearm you still don’t have any once you do. If you were a coward before purchasing a firearm now that you purchased one you are still a coward but you are a coward with a fire arm. They continue to underscore the importance of having wisdom when one decides to purchase a firearm. Greg shares from years of law enforcement experience on how law enforcement go through continuing training on when to use a firearm. Today we are seeing a hero complex among some who have armed themselves thinking they will take justice into their own hands and pull out a gun on a potential suspect. They share that if you are in a mall and there is “bad guy” person doing others harm and you think because you have a fire arm that you are going to save the day and pull out your gun and shoot the suspect this is not exercising wisdom. This is not wise, for one when the police arrive they don’t know if you are the suspect or since all they see is you with a gun all they can assume is that you are the suspect. The other thing that happens when you decide you are going to be a hero because you have hero complex is that you are going to put innocent bystanders in harm’s way and there is a strong possibility that it will result in loss of life even your own. We are reminded that as Christians we should not be aggressive regarding the 2nd Amendment but rather have an attitude that is grateful for it but one who also understands that humility must be exercised with such liberty. They continue to give us perspective as they share a scenario in which the hero thinks that he is the only one who has the “hero” complex but there may be thirty of you with the same “hero” complex at the same time trying to respond with your firearms at the same time trying to shoot at a suspect of which you have no authority to apprehend and there is a great risk of death and loss of life you place before innocent bystanders. They caution us to seek wisdom, do away with a “hero” complex and get proper training on how and when to use a firearm and exercising your 2ndAmendment rights.